Yes, it's as soft as it looks. 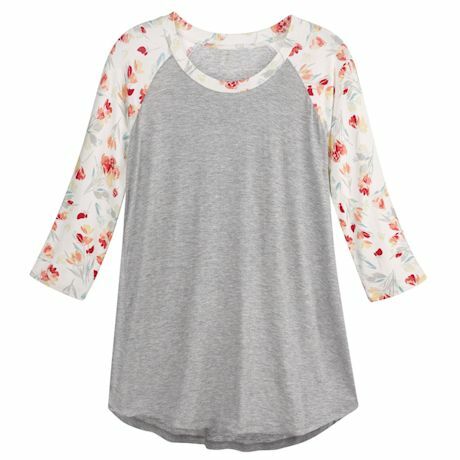 A featherweight floral fabric is used on this top's ¾-length raglan sleeves and contrast collar; classic heathered gray body flows with extra length for versatile wear. Machine wash. 97% rayon/ 3% spandex. Imported. 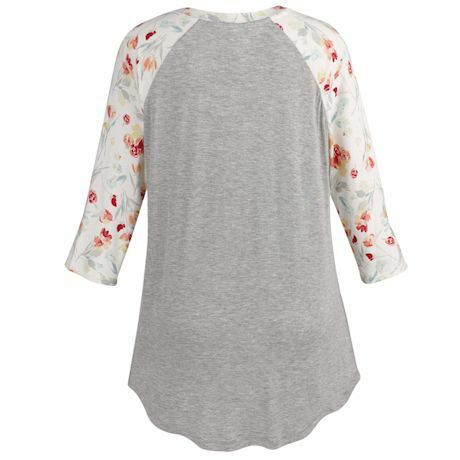 S(6-8), M(10-12), L(14-16), XL(18), XXL(20); 29"L.